Finally, December. It's time to catch up on those releases that I had intended to write on but never got around to. 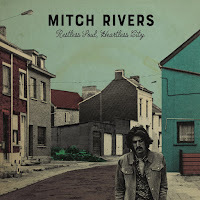 Mitch Rivers' debut album Restless Soul, Heartless City being one of those. The delightfully poppy songs on the album deserve more attention from the average pop music lover. Mitch Rivers is, belying his name, Dutch. In fact we share the same city for a domicile. That opens options for a living room show in 2019! Reading up on the artist, it is hard to believe that he started out as a punkrock singer in a band called Joe Madman and the Sidewalkers. We all have our transgressions, punkrock could even be a quite excusable one. As Restless Soul, Heartless City shows not all the fire has gone out of Mitch Rivers. In his soulful pop tracks explosions of sound can take place, delivering a great dynamics to the album. The basis is the same contemplation in music that I have found on City & Colour's latest studio album from 2015, 'If I Should Go Before You'. An acoustic basis that shows the origin of the songs, Rivers at home with his acoustic guitar. This is the starting point of an interesting adventure that takes the listener down many a cliff, slope and ravine. What endears me to this album is that it convinces in the highs and the lows. When quiet and still, the melody is a bright beacon on the horizon guiding me to the aural explosions and to make me return safely to the starting point of the next adventure. This exploration of Restless Soul, Heartless City's surprises, bright scenes and dark spots, brings all its strongest features to light. The contrast between the soft, melancholy notes on the pedal steel guitar in 'City Lights' could not contrast more with the huge electric guitar solo in 'Badlands'. Yet, both are the right thing to do. Shining a light on the contrasts in the music on offer. Mitch Rivers is not afraid to show some influences. The Eagles of the Bernie Leadon era come by in 'Love Will Paralize' to be left behind just as easily within the same song, that builds up to a rock climax more and more, before the guitar sets in loudly and predominantly. 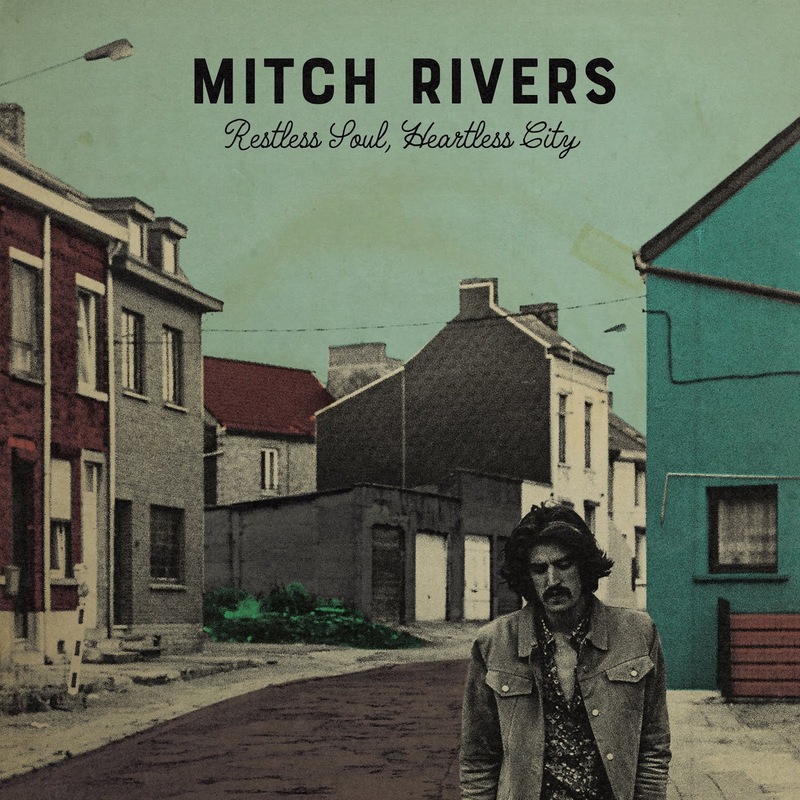 'Love Will Paralize' is one of the many songs on Restless Soul, Heartless City, that take a surprising turn, making it a Mitch Rivers song and no one else's. The 70s are a reference point for most of the album, in a way no one at the time was able to envision. Mitch Rivers has used building blocks from other times and genres to build his own musical universe. From recent times it would be easiest to compare him to Douwe Bob. 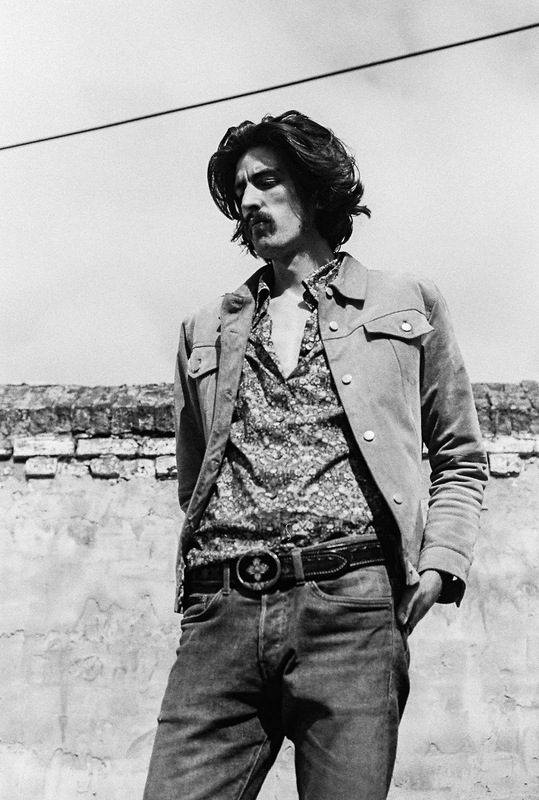 Another young Dutchman blending times and genres into his own pop universe. Rivers dares to delve deeper, challenging his listener more and in my book that makes him a winner. Where teenage girls are concerned I have my doubts though. In the final songs the mood unwinds somewhat more. Country rears its head and Rivers' impulse to explode is contained somewhat more. So a little more Douwe Bob anyway, were it not that things are never as clean in sound. 'Good Times' may be a soul song, the guitar definitely is not. It blasts the soft mood to smithereens for a glorious blaze of glory. Summing up, it is easy to conclude that another Dutch artist has come up with a great album. And where that living room show is concerned, if you're interested, let's make it happen.